Welcome to Sylvania Pediatric Dental Care, a leading pediatric dental practice located in Sylvania, Ohio. Superior oral health is vital for a child’s development, and we’re here to help every step of the way! When you visit our pediatric dental office, your smile is our top priority. Our entire team is dedicated to providing children with the personalized, gentle care that you deserve. We offer convenient appointment times, the latest in dental technology, and lots of patient education for you and the family. Our office is proud to accept most dental insurances and will work with you to make treatment affordable, easy and effective. When you visit our office you will experience all that modern dentistry has to offer, including a comprehensive list of general, restorative and cosmetic dental services to meet the needs for children of all ages. Our goal is to assist each patient in achieving and maintaining long term dental health and a beautiful smile. To see a full list of our services visit the procedures page. Our team of dental professionals is here to assist our patients in learning more about their oral health. This website is a resource that you'll find useful in making more informed decisions about your child's dental care. Please browse through our site to learn more about our practice, dental conditions and treatments, dental recommendations, payments and insurance, and more. If you have any questions or concerns be sure to give us a call or. If you would like to schedule an appointment you can reach us by phone or you may also use our online appointment request form. 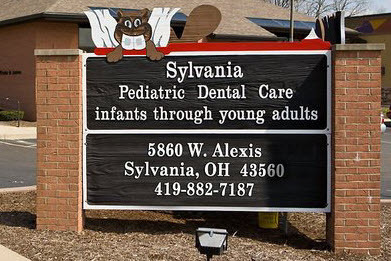 Sylvania, OH Sylvania Pediatric Dental Care pediatric dentists are dental professionals dedicated to excellence in pediatric dentistry for children and young adults. Available treatments include pediatric dental cleanings, introductory exams, children’s x-rays, fluoride treatments, sealants, fillings, crowns, root canal treatments, extractions, emergency care, and more.